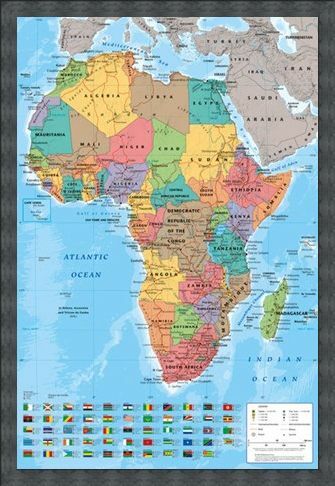 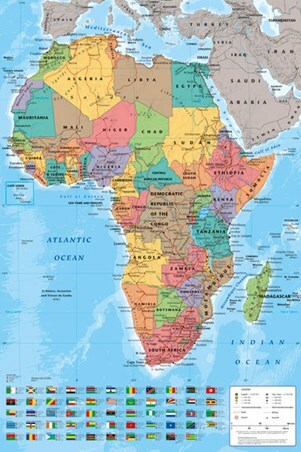 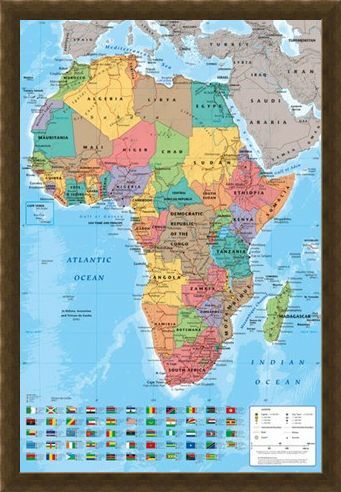 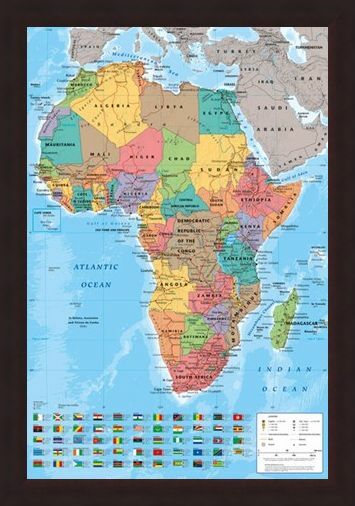 Education Maxi Poster: Learn all about the continent of Africa with this full colour political map. From the northern country of Morocco to the coastlines of South Africa, this educational map shows all the borders of the continent with each of the country's flags in full colour at the bottom. 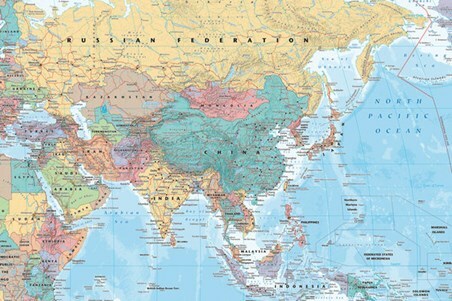 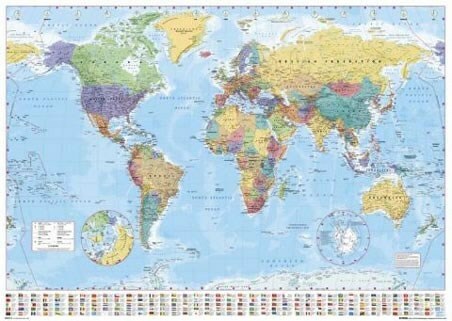 Perfect for the home or classroom, this to scale map also shows the surrounding water bodies of the Atlantic Ocean and the Indian Ocean. 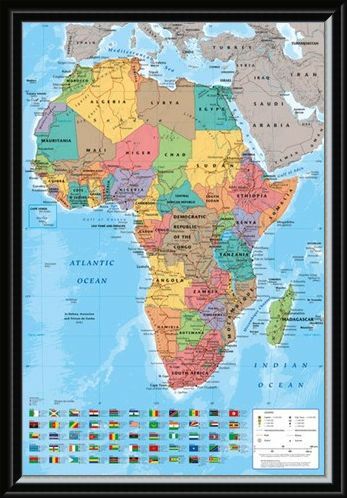 High quality, framed Map Of Africa, Colourful Continent poster with a bespoke frame by our custom framing service.